Put a selfie camera into SPen on Galaxy Note, a viable idea or just a fantasy? 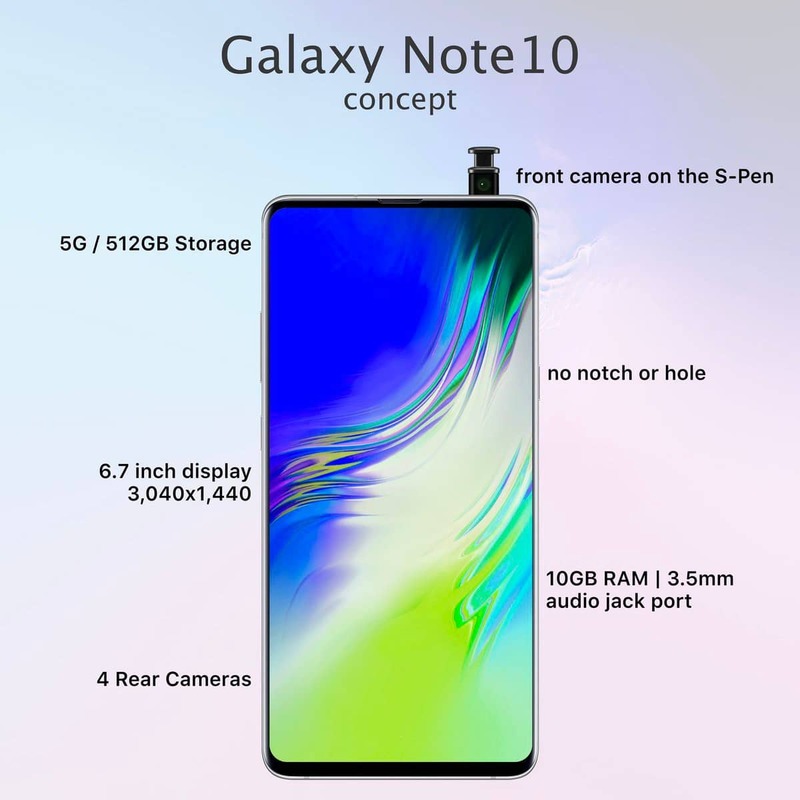 There have been a lot of rumors recently that Samsung will put the camera selfie on the S Pen on the Galaxy Note 10 or a future Note generation soon, drill down to the pros and cons that we will first consider; the feasibility of this design. Whether with such a small pen is enough to fit the camera module, the battery is large enough to take pictures as well as data transmission problems. I will do a simple math problem to prove that the S Pen can completely contain selfie cameras. 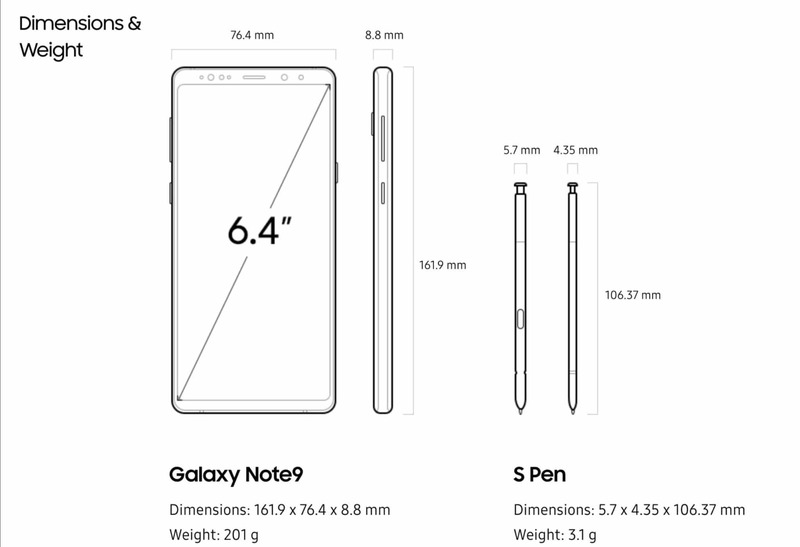 I took the size of Note 9 pen as standard, of course, Samsung can completely make a bigger pen. Specifically, the S Pen on the Galaxy Note 9 is 5.7mm wide and 4.35mm thick. In terms of thickness, I would like to confirm that 4.35mm is enough to set the camera module because the camera with the indented camera is only equivalent in thickness, the previous OPPO R5 is only 4.85 thick and still has the camera cluster inside with absolutely no problem. What about breadth? First I will take the size of the selfie camera sensor of Galaxy Note 9 to calculate. According to specifications, the Note 9’s sensor size is 1 / 3.6 inch (~ 7mm), this parameter is a bit complicated, it is not the diagonal of the sensor, nor the width but basically, this is the diameter of a circle is larger than the sensor. In short, according to the information we refer to, a 1/3.6 inch sensor will have a 5mm diagonal size, 4mm long, 3mm wide. So plus other components, this camera module will be about 5mm x 4mm. It is possible to place this sensor in a 5.7 x 4.35 mm pen. 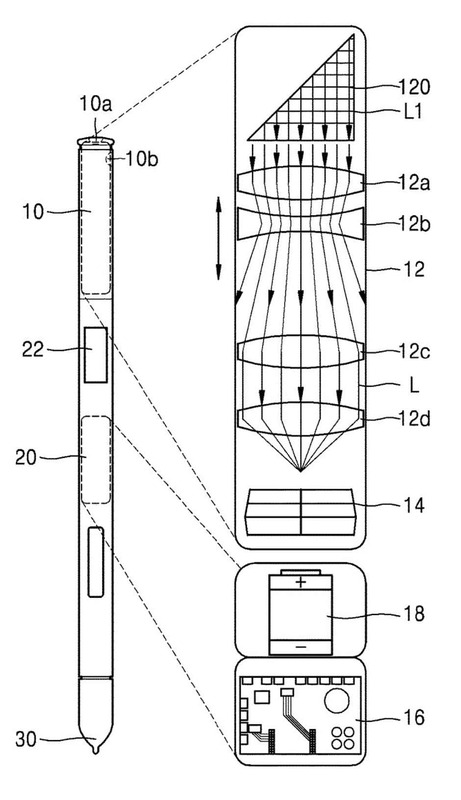 Not to mention, Samsung may also put the sensor perpendicular to the pen body as shown in the design below. Instant operating principle like 10x zoom technology OPPO introduced. Using a prism to change the direction of light entering, place the sensor under the pen body. So we’ve solved the most important problem – physical size. I hypothesize if this pen can be removed from the camera, it will need to transfer data between the pen and the device to take pictures. Usually, a selfie photo of Galaxy Note 9 or S10 will have a capacity of 1-2MB, information from the image sensor to the processor (chip or CPU of the phone) may be more to handle. Latest Bluetooth 5.0 has a data transfer rate of 2Mbps (~ 0.25MB / s). To transfer 1MB of data takes 4 seconds, surely no one wants to wait that long to get a photo. There is another solution, using the 60GHz Wi-Fi, which is extremely high, but it doesn’t seem very feasible because it requires a large connection module, uses more power, so the headset or small wireless devices It still uses only low-power Bluetooth that cannot use Wi-Fi despite the higher speed. Supercapacitors in the S Pen contain extremely little energy, currently only connected by low-power Bluetooth and leaving the remote can only press about 100-200 times. Such a press takes very little energy, and providing a camera module is completely different, not knowing how much a charge can take but very little. 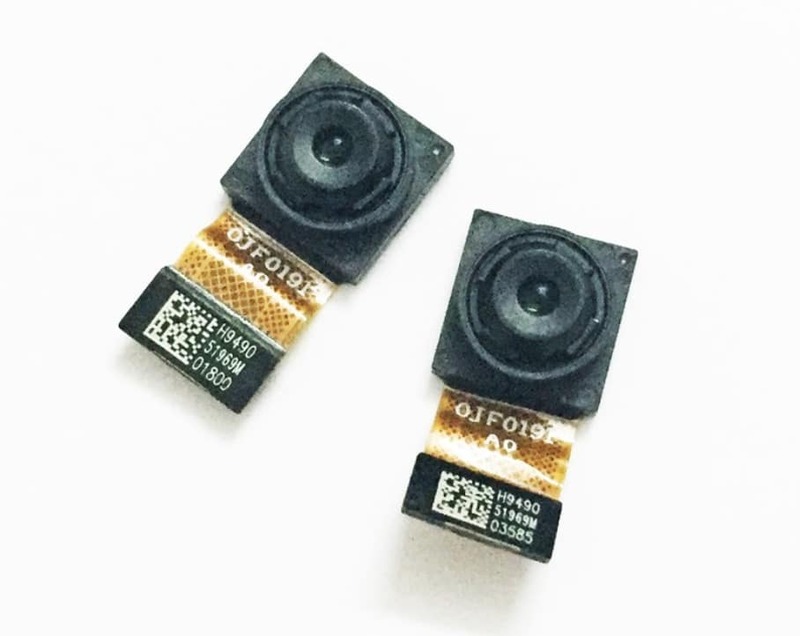 According to my reference from many sources, a smartphone camera module has an operating capacity of about 0.1 – 0.25W, while Bluetooth Low Energy’s capacity can reach 0.01W under ideal conditions. Not to mention that if you have to transmit data as mentioned above, it is completely impossible at the present time. If this is true, then we will have to exchange the use of a pen to control the camera like Note 9. However, with the object that the Galaxy Note line is directed to, not too many people often use cameras to selfie, so perhaps that is not the problem. 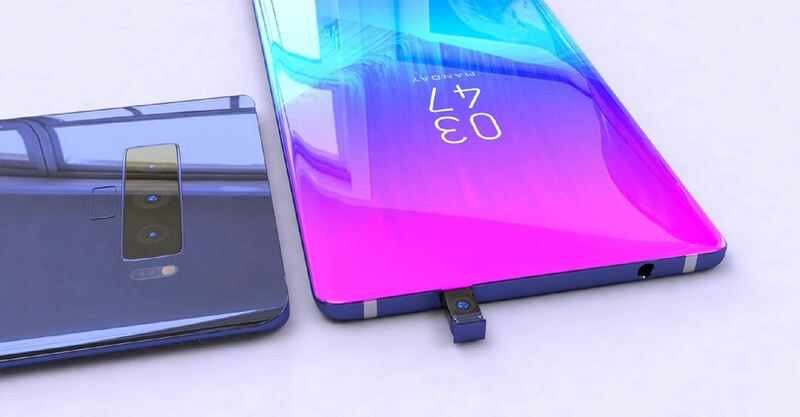 More importantly, Samsung will solve the hole on the screen while waiting for the technology to put the camera under the completed screen into commercial production.